Executed in 1980. This work is number ten from an edition of ten. 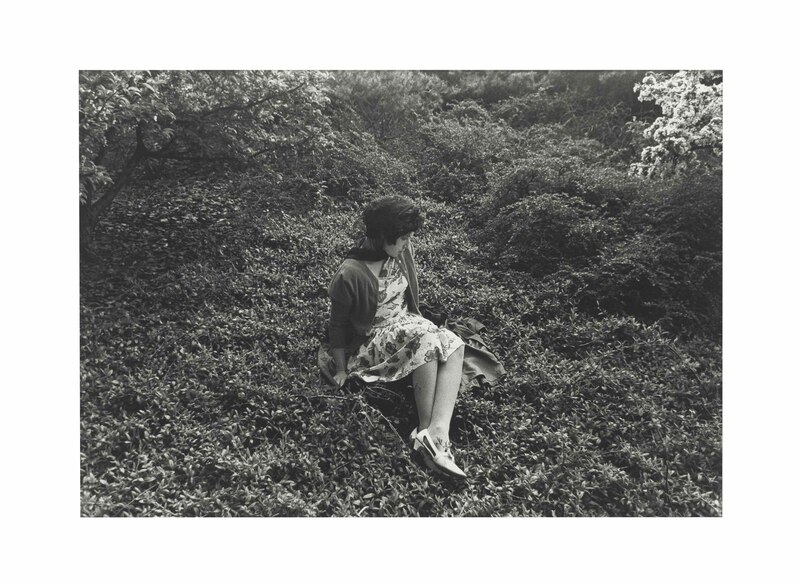 R. Krauss, Cindy Sherman 1975-1993, New York 1993, pl. 43 (another example illustrated). D. Frankel, ed., The Complete Untitled Film Stills Cindy Sherman, New York, 2003, pp. 88-89 (another example illustrated). New York, Whitney Museum of American Art, Cindy Sherman, July-October 1987, pl. 36 (another example exhibited and illustrated). Los Angeles, Museum of Contemporary Art; Chicago, Museum of Contemporary Art; Prague, Galerie Rudolfinum; London, Barbican Art Gallery; Bordeaux, capc Muse d'Art Contemporain and Toronto, Art Gallery of Ontario, Cindy Sherman Retrospective, November 1997-January 2000, p. 90 pl. 59 (another example exhibited). Paris, Jeu de Paume; Kunsthaus Bregenz; Humlebaek, Louisiana Museum of Modern Art and Berlin, Martin-Gropius-Bau, Cindy Sherman, May 2006-September 2007, n.p. (another example exhibited and illustrated). New York, Museum of Modern Art; San Francisco Museum of Modern Art; Minneapolis, Walker Art Center and Dallas Museum of Art, Cindy Sherman, February 2012-June 2013, p. 121, pl. 81 (another example exhibited).